The Falcon swim team ended a great season at the District Meet. The Boys team earned 25 points and placed 24th out of 37 teams that earned points. There were over 81 teams represented at Districts this year. Fairfield Union Falcons were one of 20 swim teams at the Southeast Sectional Swim Meet on Saturday, February 9th at Ohio University in Athens. The girls swim team placed 3rd out of 18 teams with 323 points and the boys swim team placed 7th out of 20 teams with 195 points. White, Claire Vail, Grace Smelzer & Elise Conrad , the 200 Free Relay of-Claire Vail, Amanda Baker, Elise Conrad & Grace Smelzer, the 400 Free Relay of- Olivia Patterson, Emma Smelzer, Caelan White & Monica Taylor ,the Boys Medley Relay of-Geoff Dixon, Zach Long, Ian Hoover & Luke Gornall, and the 200 Free Relay of Geoff Dixon, Ian Hoover, Chris McManaway & Luke Gornall. 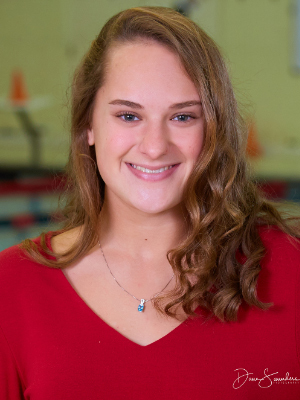 Individuals earning points were- Monica Taylor - 200 Free & 500 Free, Caelan White -200 Free & 100 Backstroke, Elise Conrad - 200 Free & 100 Free, Claire Vail - 200 I.M. 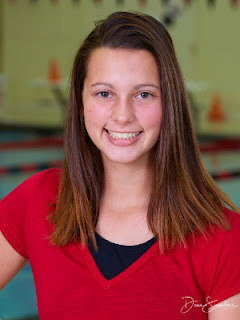 & 100 Breaststroke, Grace Smelzer - 50 Free & 100 Free, Emma Smelzer - 100 Fly & 100 Backstroke, Carlie Phillips - 100 Fly, Amanda Baker - 100 Free & 100 Breaststroke, Geoff Dixon-200 I.M. 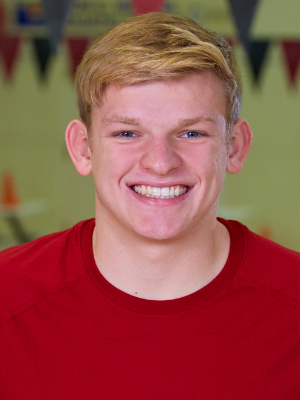 & 100 Backstroke, Ian Hoover 200 I.M. and 100 Breaststroke, Luke Gornall in the 50 Free & 100 Free, Zach Long in the 100 Breaststroke, and Chris McManaway in the 100 Breaststroke. Qualifying for Districts were the girls 200 Medley Relay & 200 Free Relay teams, The boys Medley Relay & 200 Free Relay teams, and Grace Smelzer , Geoff Dixon & Ian Hoover in both of their individual events. They will be competing at OSU on Thursday February 14th. Falcon swimmers had a great Sectional meet on Saturday. The Girls team placed 3rd out of 18 teams and the Boys placed 7th out of 20 teams. Placing 1st in their events were Geoff Dixon in 100 Backstroke and Ian Hoover in 100 Breaststroke. 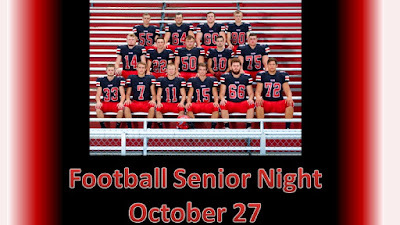 They earned an automatic spot at Districts. 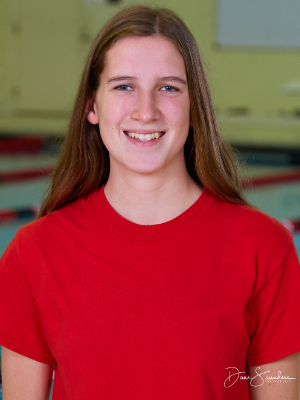 Also qualifying for Districts were Grace Smelzer in 50 & 100 Freestyle, Geoff Dixon and Ian Hoover both in 200 IM, the girls Medley and 200 Free relays and the boys Medley and 200 Free Relays. All swimmers improved times in their respective events. Great Job!! Earning points for the team were both Girls Medley Relays of -Caelan White, Claire Vail, Grace Smelzer & Elise Conrad and Monica Taylor, Amanda Baker, Emma Smelzer & Carlie Phillips. The Boys Medley Relay of Geoff Dixon, Zach Long, Ian Hoover & Luke Gornall. The Girls 200 Free Relay of- Claire Vail, Amanda Baker, Elise Conrad & Grace Smelzer and the 400 Free Relay of -Olivia Patterson, Monica Taylor, Emma Smelzer & Caelan White. John VerDow- 200 Free & 100 Back, Geoff Dixon -200 I.M. 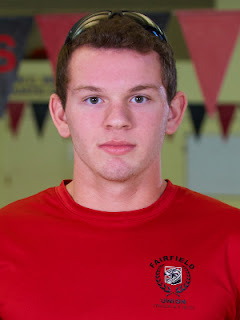 & 100 Backstroke, Luke Gornall- 50 Free & 100 Free, Ian Hoover-100 Butterfly & 100 Breaststroke & Zach Long- 100 Free. The Fairfield Union Swim Team had their MSL Swim Meet at Columbus Academy on Saturday, Jan. 26th. The team had a great meet with many swimmers improving times in their events. 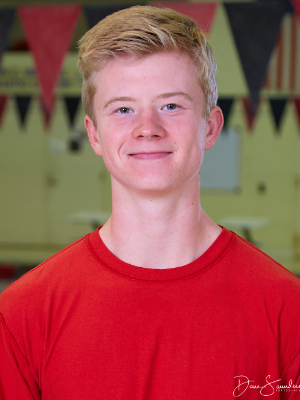 CONGRATULATIONS to Geoff Dixon who earned MSL - 2nd place in his 100 backstroke. The girls team won 6th place out of 13 teams with 76 points. Earning points for the team were- Medley Relay of Caelan White, Amanda Baker, Grace Smeltzer & Elise Conrad. 200 Free Relay of Claire Vail, Elise Conrad, Amanda Baker & Grace Smelzer. 400 Free Relay of Monica Taylor, Emma Smelzer, Caelan White & Claire Vail. Grace Smeltzer 50 Free & 100 Free, Carlie Phillips 100 Butterfly, Monica Taylor 500 Free, and Claire Vail 100 Breaststroke. The boys team won 6th place out of 12 teams with 88 points. Earning points for the team were- Medley Relay of Geoff Dixon, Zach Long, Ian Hoover & Luke Gornall. 200 Free Relay of John VerDow, Chris McManaway, Ian Hoover & Luke Gornall. 400 Free Relay of John VerDow, Geoff Dixon, Chris McManaway & Zach Long. Geoff Dixon- 200 IM & 100 Back, Luke Gornall- 50 Free, Ian Hoover 100 Fly & 100 Breaststroke and Chris McManaway 100 Breaststroke. Over all we had 2 relays score in the top 3, and 4 individuals score in the top 3. It was a very good meet with most of our swimmers continuing to improve their times. Swim Meet on Saturday, Dec. 15th at Zanesville. The girls team placed 5th and the boys team placed 6th. The Combined scores including all the Co-ed and Holiday Relays put the teams in 4th place over all. 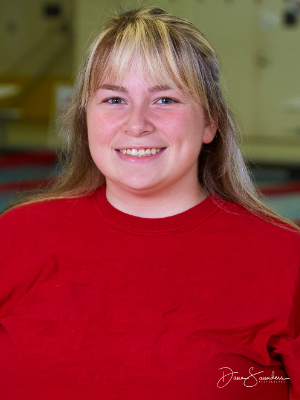 Every team member earned points for the team at this meet. We had 7- 1st or 2nd place relay finishes. Fun was had by all and everyone enjoyed participating and watching all the Holiday fun relays along with the regular stroke relays. We had a double-dual meet against Heath & Bloom Carroll. Our Girls team scored 61 points to Heath's 33 points & our Boys team scored 34 points to Heath's 42. Our Girls team scored 64 points to Carroll's 24 points & our Boys team scored 43 points to Carroll's 17. In Combined scores we won against both teams 95 to 75 against Heath & 107 to 41 against Carroll. Earning 1st place finishes for the teams were - Geoff Dixon in 50 Free & 400 M Free, Grace Smelzer in 50 Free & 400M Free, Zach Long in 100 Breaststroke, the girls 200 Medley "A" relay of - Caelan White, Amanda Baker, Grace Smelzer & Elise Conrad, the boys 200 Medley relay of- JohnVerDow, Zach Long, Geoff Dixon & Luke Gornall, and the girls 200 Free "A" relay of- Amanda Baker, Carlie Phillips, Emma Smelzer & Elise Conrad. 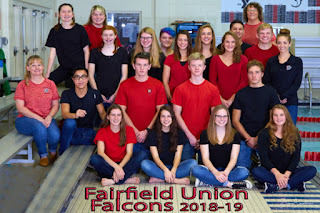 Fairfield Union Falcons were one of over 20 schools at the Ned Reeb Invitational Swim Meet on Saturday, Dec. 8th at OSU. The girls and boys teams both had places in the top 16 for different events. Placing in the top 16 for the teams were Geoff Dixon- 6th in the 100 Free and 2nd in the 100 Back , the girls 200 Medley Relay of Caelan White, Amanda Baker, Grace Smeltzer and Bri West placed 16th, Grace Smeltzer placed 15th in the 100 Free and Claire Vail placed 12th in the 100 Breastroke. Many other swimmers improved their times for their events. Great job at the meet! Swim Meet on Saturday, Dec. 1st at OU. The girls and boys teams both placed 12th. Earning points for the team were Geoff Dixon- 6th in the 200 I.M. and 1st in the 100 Back , Luke Gornall- 10th in the 50 Free, the girls 200 medley Relay of Bri West, Amanda Baker, Grace Smeltzer and Elise Conrad placed 9th and the girls 200 Free Relay of Bri West, Elise Conrad, Amanda Baker and Grace Smeltzer placed 6th. We opened our swim season with a dual meet against Teays Valley. Every team member contributed points for the team. 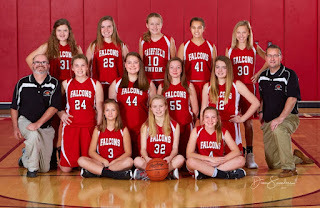 The Falcon Girls team earned 71 points with Teays Valley at 72 and the Falcon Boys team earned 47 points with Teays Valley at 96. Earning 1st place finishes for the team were Ian Hoover in 200 I.M., Geoff Dixon in 100 Butterfly & 100 Back, Grace Smelzer in 100 Free, Amanda Baker in 100 Breaststroke and the girls 200 Free "A" relay of - Bri West, Emma Smelzer, Amanda Baker & Grace Smelzer. Great start to the season everyone!